I was born in 1977 at Barksdale Air Force Base in Shreveport, Louisiana. Honorably discharged six months later, there was a brief stint in Philadelphia where I first acquired my distaste for the Eagles. At one and a half years old, I settled in Somers, Connecticut. Extensive travel has been the defining characteristic of my life. My first major international trip occurred in 1981. My father was an orthopedic surgeon and my mother a physical therapist. They did volunteer work through Orthopedics Overseas (OO) in Bangladesh and tacked on some vacation time in Thailand, Sri Lanka and Burma. A couple years later, we went to the Dominican Republic where my parents did volunteer work in Santiago (each time the work was through OO) followed by vacation in Haiti. Today it seems odd that the medical volunteer work was in the DR while the vacation was in Haiti. While my mother did research for her dissertation on rehabilitation in rural Jamaica, my father volunteered at The University of West Indies in Kingston. For a month each January 1986 and 1987, we lived in a small house on the university campus. I drank Tang, ate beef patties and went to a private school there. It is rumored that this formative time in Jamaica contributed to my affinity for…ackee and saltfish. This is the first volunteer trip where I have many vivid memories and really began to recognize some commonalities in developing nations. I recall eating jerk pork at a roadside stand by the beach in Port Antonio. It was phenomenal, until I rubbed my eyes and my father had to hold my eyelids open under running water for half an hour. The bars on the windows of our home and the broken bottles affixed to concrete wall tops everywhere intended to secure what lay behind. The bigger vehicle always has the right of way, but drivers also understand the entire road can be used. The smell of burning rubbish permeates the air, and I always feel I have returned home when I touch down in a new destination and am greeted by this olfactory delight. It is far more common to see people hanging out, appearing to do nothing. Most important, I remember LT, Simms, Bavaro and the boys winning the first of four Superbowls in my lifetime. My little brother was born in the summer of 1986 and the following year we moved across the border to Longmeadow, Massachusetts. It was a tough transition for a little redhead kid whose lashing tongue was far more powerful than his muscles, but I did OK. When we went to Ethiopia in January 1989, famine plagued the nation and the kids in Longmeadow teased me for going there. This is my first lucid memory of having an upbringing different from those around me. Longmeadow is a relatively affluent town with relatively well-educated and well-traveled inhabitants. It is not an intellectual backwater. But few could imagine why anyone would go to Ethiopia, or that on arrival one would find anything other than children with distended bellies surrounded by flies. My parents again worked through OO at the (then-named) Royal Lion Hospital in Addis Ababa. 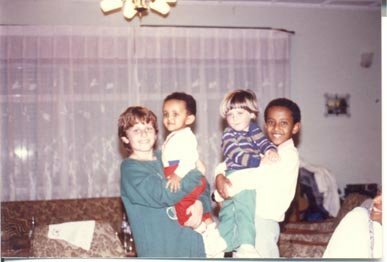 I attended the Indian Community School where I was the only white kid and met my friend, Bezalem. My family had dinner at his family’s house one night, and they hand roasted the coffee over charcoals after serving us the traditional meal of injera and wat. I’ve a vivid memory of walking down the sidewalk in Addis Ababa with missing manhole covers and unmarked drops high enough to fracture bones. I imagine Detroit is like this, nowadays. We tacked on a vacation to Egypt with a Nile River cruise, the pyramids, and more. It is another example of the ever-shifting geopolitical landscape that today I would feel far safer traveling to Ethiopia than to Egypt. After Ethiopia, the volunteer trips to developing countries were put on hold as it seemed more difficult for my parents to extricate me from junior high and high school for a month or more during the school year. The last such trip we took as a family was over my holiday break as a university freshman. My parents worked in Hue, Vietnam and then we visited Ho Chi Minh City, Singapore and Bali. 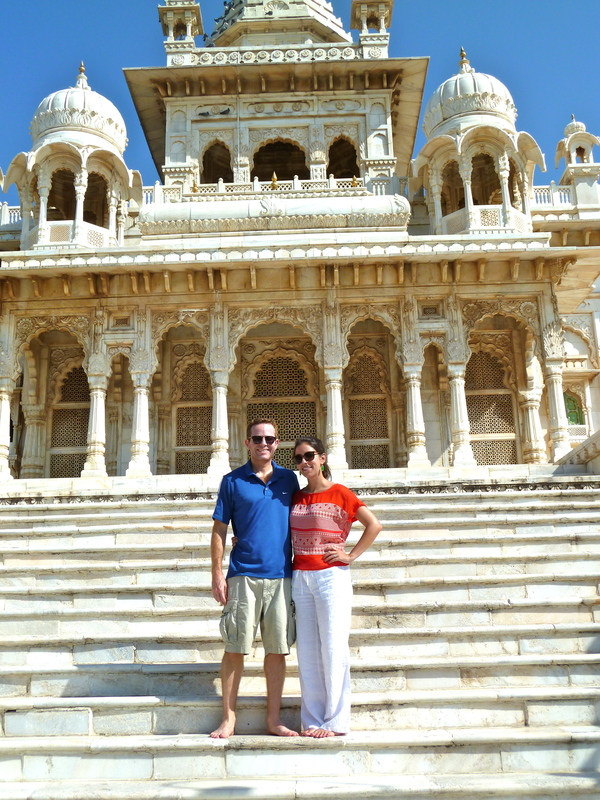 In addition to the volunteer trips, we traveled extensively my whole life. We trotted all around the US and the rest of the globe. In 8th grade, I spent 10 weeks in Telluride, Colorado where I attended school in the morning and skied in the afternoon. I lived with a wonderful local family, in whose home I fell in love with Scott Norwood while the G-Men won the second Superbowl of my life. Once I was old enough to travel without my family (sometimes), I kept up the pace, including a semester abroad in Madrid. By the time Jenni and I complete our US road trip and make the first voyage abroad, I will already have traveled to about 55 countries. A few details other than travel…I attended Tufts University where I earned my BA in Political Science, or so I’m told. Next it was straight to New York where I received a law degree from Columbia University before working at a large international law firm. I transferred to the Los Angeles office in 2005 and a couple years later transitioned to a buy-side investment firm focusing on high yield through distressed credit. I am on the board of the non-profit The Samburu Project and before leaving LA I mentored a delightful young man through the Fulfillment Fund. I enjoy skiing, hiking, tennis, SCUBA diving, eating and cooking. In September 2012 I married my soulmate, Jenni (her blog), without whom I would not have embarked on this journey. Credit for this blog name goes to Kenny (aka Honey Badger, ‘cause he don’t give a s@*t), so e-dap to that fellow. Hat tip as well to Gareth for stepping up huge and ensuring that we actually got the last few items into our storage facility and made it out of LA on Friday, August 16, as planned.